If you desire a mellow workplace where you can bring your dog and take thursday afternoons off to go surfing, ask GoPro for a position (but they are laying off, so it might be a long shot). DJI is the proverbial startup with employees working hard and long hours. Can a French company like Parrot, where the workweek may be 35 hours, keep up with a Chinese startup where it may be double that? This might be possible in an industry where robots do much of the work (German Auto Industry, for example), But when the work entails tens of thousands of small details, marketing, communications, engineering, etc. on a “manual” basis, the faster runner is going to win the marathon. A number of other articles have mentioned that DJI has more trouble keeping Western employees than most companies (see Glassdoor or this article for some corporate culture). This seems to be a truism – probably due to long hours, less long term job security and the lack of a feeling of company ownership. I am unfamiliar with whether DJI awards stock to employees below the C-Suite, my assumption is that they do not to a large degree. However, word is that they pay well and that – combined with the status of working for a truly innovative company – can attract enough newcomers to keep the Drones flowing. In summary, only highly driven and very smart people should apply! In short, DJI is organized Chaos – something my Dad (a businessman) told me should always be the case in a dynamic business. Despite the amount of work they have created for themselves (due to success), when they state they are going to do something – even smaller details – it usually gets done. 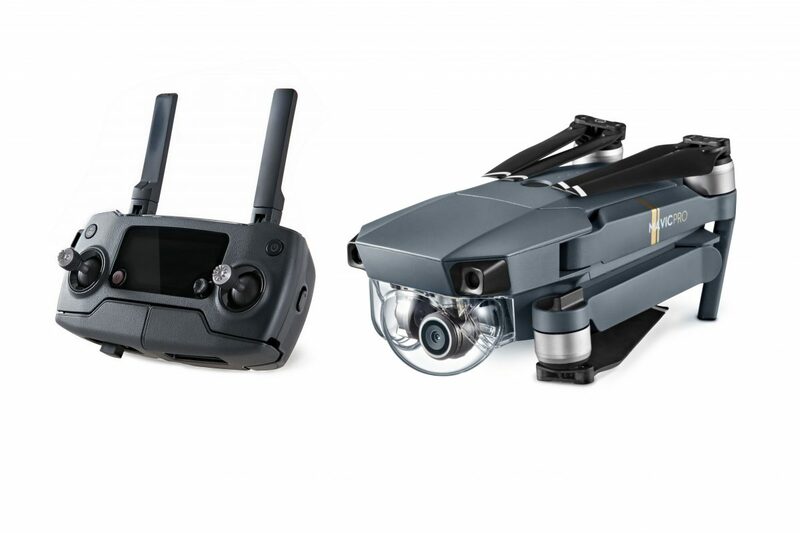 As a comparison, I have reached out to Parrot and Yuneec a number of times to borrow review units or get “in the loop” for my blogging and videos and have yet to hear anything of note. This is/was over a two year period. A Rat Race or Paradise? Business often gets a sour reputation – consumers tend to think everyone is out to take their money and provide as little value as possible. Amazon, Apple and even WalMart have changed this to some degree…the customer is now considered “King” and just the opposite is true. The idea now is to delight the customer and provide maximum value. Doing so is much harder than it appears, especially with high technology flying machines. It took the hard-driven style of DJI CEO Frank Wang to successfully create a new product category – reliable flying machines which can be flown by millions. While other companies (especially Parrot) broke the new ground, they failed to listen to their customers and to give the market what was desired. While the grind of daily business, especially in a Chinese startup, can be exhausting – the end result is the creating of world-class technology which will change the world in a positive fashion. Steve Jobs would be proud…and Elon Musk probably is. What is the Future of DJI? This is certainly an open question. Chances are they have been offered vast sums of money for the company and turned it down. To put things in perspective, DJI is probably worth much more than Whole Foods – which Amazon purchased recently for 13.7 Billion. A valuation of 20-30 Billion would not be overkill being as they were valued at 10 Billion 18 months ago…well before Mavic Pro, Spark and the end of the consumer drone wars. My prediction is that DJI is only getting started. Assuming Mr. Wang is healthy and happy, I can see this company staying private (or closely held) and continuing to innovate as if this is Day One of the Drone Universe. If they do go public, the shares are likely to command a premium and it is doubtful that DJI would give up the majority of the shares. In many ways we’ve hit a “Drone Plateau”. Many of the original problems have been solved and the machines are reliable tools for many everyday tasks. My prediction is that evolution..rather than revolution…will define the next couple of years. Safety will become paramount – and the addition of additional sensors and software will groom the machines for additional work-related missions. We might say that – in the long run – the rise of Consumer Camera Drones created the cash flow to further advance what Drones are destined to become – commonplace aerial robots that do our bidding.